The 2012 National Puerto Rican Day Parade is the number fifty five (55) event held in New York City and the seventeen (17) as a National Organization. This year the National Puerto Rican Parade celebrates Puerto Ricans and Higher Education. It is through education that the community can continue to progress. Higher education is a source of empowerment that greatly improves the social and financial conditions of individuals aspiring to better their lives. 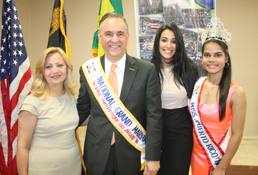 The Parade’s theme will showcase the educational achievements of Puerto Ricans and continue to encourage further growth. 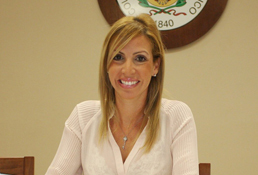 Guayama se encuentra localizado en la costa sur. Limita por el norte con Cayey; por el sur con el Mar Caribe, por el oeste con Salinas y por el este con Patillas y Arroyo. Pertenece, geográficamente a la región de los Llanos Costaneros del Sur. Por su parte norte corren las sierras de Jájome y de Cayey. In addition to the annual parade on fifth avenue the Board of Directors carries out mutilple events throughout the year in accord with the organization mission and goals. RECOGNITION TO “BALUARTES PUERTORRIQUEÑOS 2012”. In recognition of the contribution to the Puerto Ricans culture and arts. We reach out to all Puerto Ricans to display their Puerto Rican flags without any symbols.